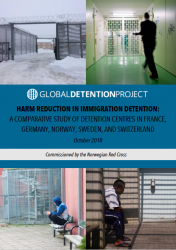 This Global Detention Project Special Report systematically compares conditions and operations at detention centres in five European countries—Norway, France, Germany, Sweden, and Switzerland—to identify practices that may be used to develop “harm reducing” strategies in detention. 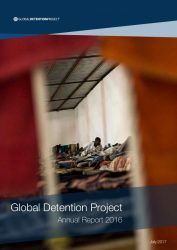 The Global Detention Project completed its second full year as an independent association in 2016. This annual report details the GDP’s key accomplishments and developments during the year. 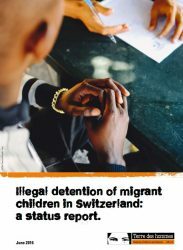 How many children are placed in immigration detention in Switzerland? Where are they detained? 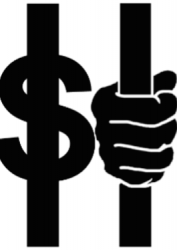 What are the conditions of their detention? Is this information even available? 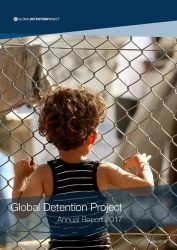 In this Special Report, the child rights NGO Terre des hommes, working in collaboration with the Global Detention Project, details important gaps in Switzerland treatment of children in immigration detention. 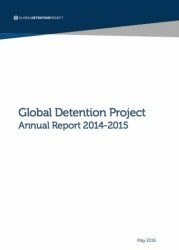 In December 2015, the Global Detention Project completed its first fiscal year as an independent association after operating for nearly eight years at the Graduate Institute. 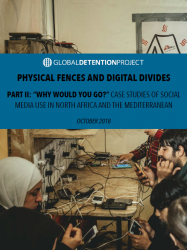 This Annual Report details the origins and evolution of the GDP and its efforts to confront the growing use of immigration detention.